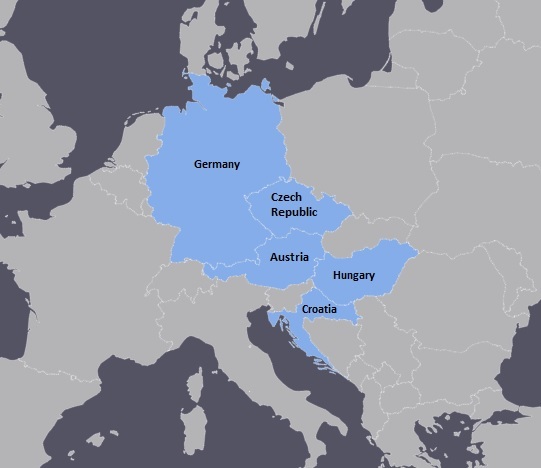 Our trip in central Europe lasted 25 days and covered Germany, Croatia, Hungary, Czech Republic, and Austria. Visiting this much countries meant we had to cross borders multiple times. Thankfully, there wasn’t any need for border control when moving between schengen states. 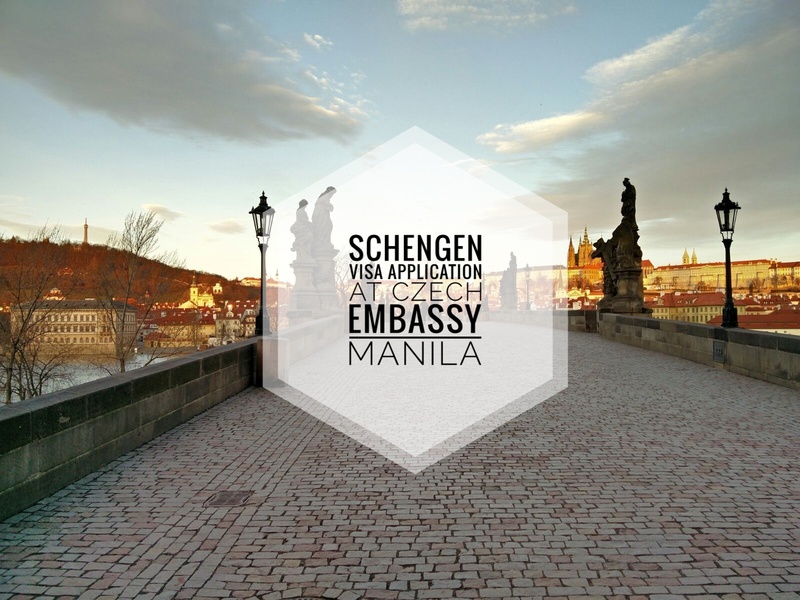 The only non-schengen country we visited was Croatia. 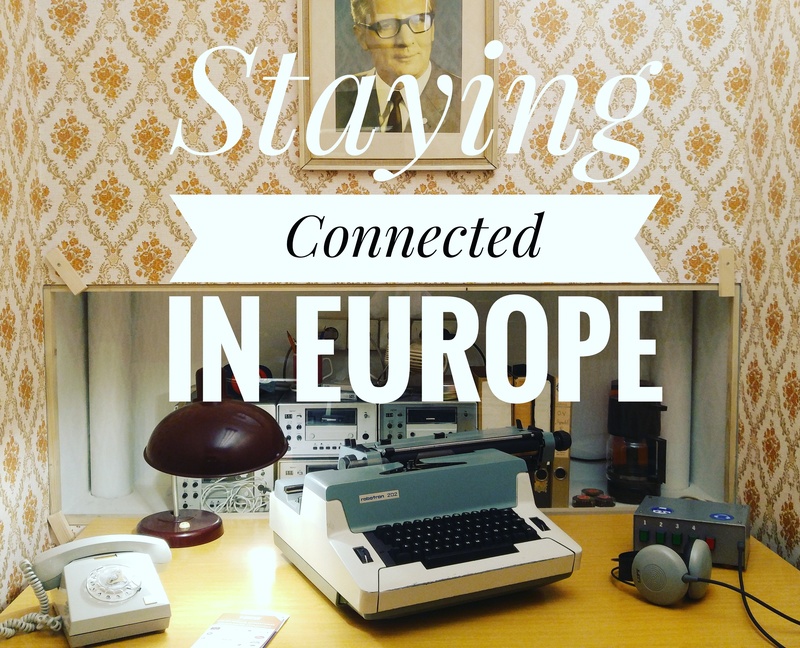 The other concern when vacationing in multiple countries nowadays is staying connected. The choices to address this will normally be between a prepaid sim card and a pocket wifi. We chose the former since there’s just two of us and it eliminates the need to think about pick-up, return, and deposit. Your usage will be billed according to your mobile sim card’s domestic rates for SMS, calls, and data. To know more about this, please visit this page of the European Commission and this additional reference. We bought our prepaid sim cards in Germany, our entry point. We primarily needed mobile data for navigating and researching while outside. 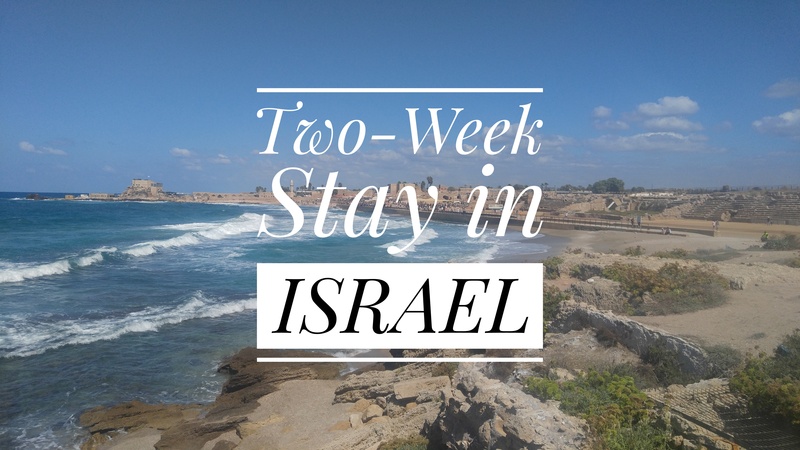 We didn’t need unlimited data allowance since wifi connection was available in most, if not all, of our booked accommodations. We purchased them from the Vodafone store at the basement level of Mall of Berlin. The starting credit was 25 euros. From this amount, 9.99 euro was charged for the CallYa Smartphone Special package. This package comes with 1.25gb of data and 200 units for call/sms with validity of 28 days. The package auto-renews every 28 days as long as there are remaining credits. 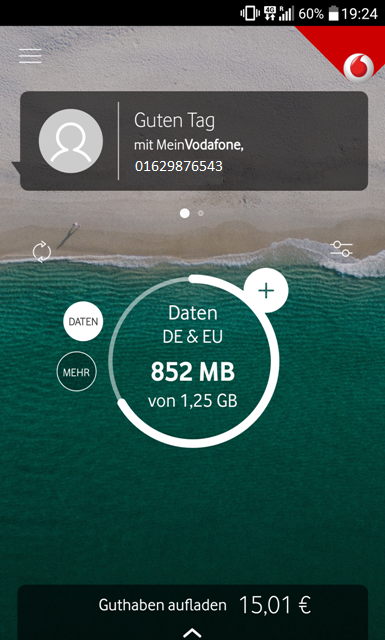 We used the remaining 15.01 euro credits to subscribe to additional data packs using the Vodafone app (even when outside Germany). According to the store clerk, we cannot top up with credits when outside of Germany unless we have a German bank account. We didn’t top-up anymore as we believed that the amount of data we can subscribe to with the existing credits we had was enough to cover our 25-day usage. Credit top-ups available are 15, 25, and 50 euros. We purchased our sim cards and the guy assisting us set everything up. Once he’s done, we put the cards in our phones, checked the signal and data connection. Everything looked good. We downloaded the Vodafone app and noticed that we’re both seeing just the call/sms meter but no data meter. We told the guy about this, he checked it out, couldn’t figure out why that’s the case, and just told us to use our phone’s data meter if we have any. He said everything’s good and that maybe there was just some issue with the app. We left the store and went on with our walking tour for the day. At the end of the tour, I started having a problem with mobile data. I checked my phone’s data meter for usage and it was at 100+ mb, with about 90mb used up by Google Photos. I learned that my Google Photos was not limited to wifi but was also set to upload using mobile data. I immediately turned that off. Still, from that point on, I wasn’t able to use my mobile data. Igal wasn’t having any issues so it wasn’t about the signal. Still wasn’t able to use my mobile data. Igal and I tried swapping cards just to see if the problem was the phone. He wasn’t able to browse using my sim card, I was able to using his. So, it’s not the phone! It’s the sim card!! We went back to the Mall of Berlin Vodafone store to report the issue. It turned out that both sim cards weren’t set up properly the previous day and our plans in the system did not include the data allowance that they should have. It just so happened that I first reached the data amount which triggered the system to kick me out. Igal would have faced the same problem, eventually. 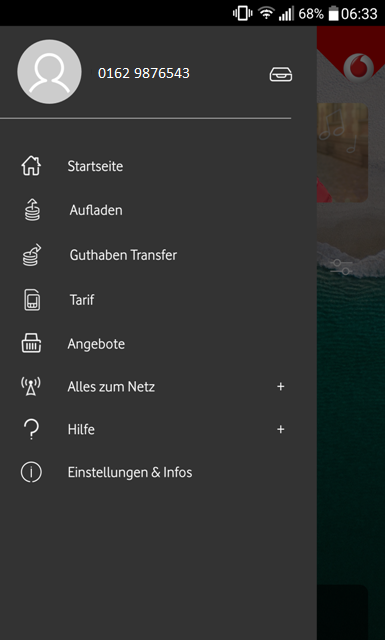 Google Photos turned out to be a blessing in disguise as it would have been a challenge fixing this problem if it happened when we’re already outside Germany. Once the lady who assisted us was done fixing our accounts by calling their hotline, the data meter appeared in our apps. We never had any problem with our sim cards after the second day set-up. It was 16 days after purchasing them before I subscribed to another data pack. I purchased 1.25 gb for 9.99 euros which was charged against my remaining 15.01 euro credits. 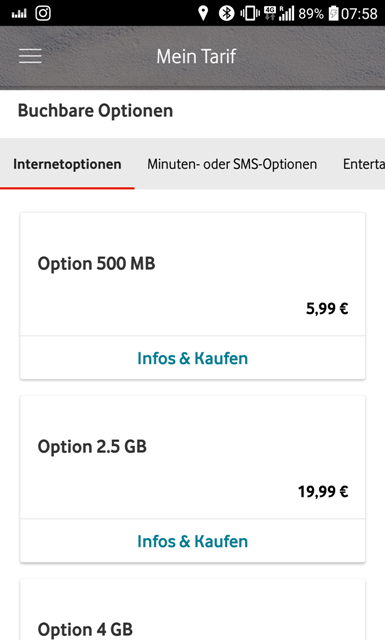 I subscribed to another 200 mb data for 2.99 euros on our last day in Europe just so I can maximize the 25-euro cash-out for the sim card. Each data pack is valid for 28 days and can only be booked once within its 28-day cycle (ie., you can avail the same data pack again only after 28 days). Purchasing data, call, or sms packs is done under Vodafone app’s Tarif section. I used my mobile data mainly for social media, messaging apps, navigation, web browsing, and music on YouTube and Deezer. Around 500 mb of my entire data allowance went to Deezer. I only used the call and sms units to contact our airbnb hosts and to message Igal when we’re not together and I had to tell him something. So, I had data allowance of 2.7 gb and 200 units of calls/sms for 25 days which were valid for use within the European Union and cost only 25 euros. That’s 1 euro a day for me to stay connected during the central Europe trip (2 euros a day for both me and Igal). Great deal, right?! It’s so nice to have an unlocked phone!